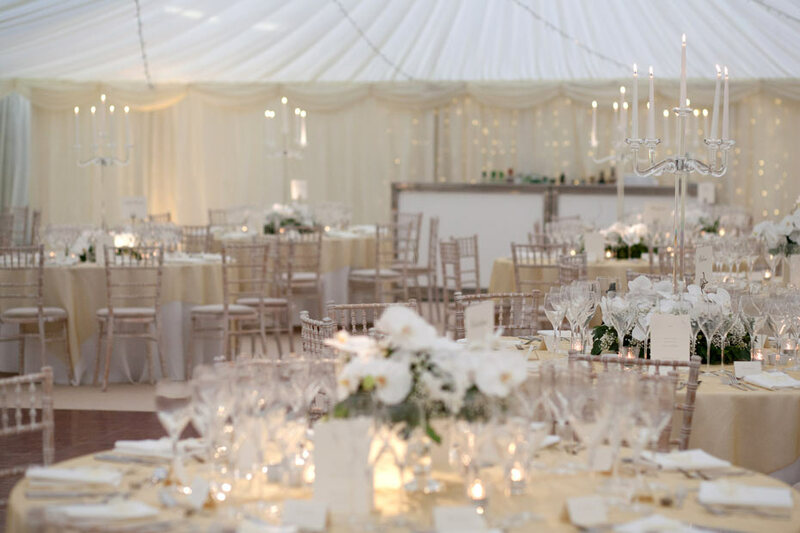 A summer wedding reception for 200 guests with separate spaces for reception drinks and dining and dancing. The event needed a generator to supply power, heating, outdoor lighting, a kitchen marquee and loos. The client had a lawn by a pond which was not large enough to host the entire event. 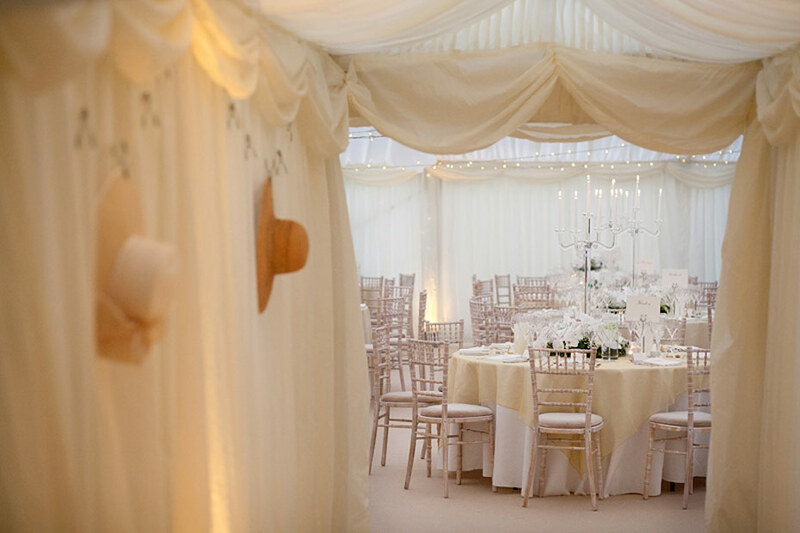 We built a smaller reception marquee opening onto this lawn and then a covered walkway leading into the dining room in the adjoining paddock. The interior was classic, a little bit vintage, and very “sparkly”. The dining room was screened off so as not to spoil the surprise. This marquee was quite large and we did not have vehicle access to the paddock once the build started. This meant bringing a lot of equipment across the lawn by hand. One the first day we built the large marquee in the paddock, and on the second day we worked on the reception marquee and on the finishing touches. Because the dining room was concealed the loos could not be positioned in the paddock without guests walking through the dining room. In consultation with the client we agreed a position that didn’t encroach on the reception area but wasn’t too far for guests to walk. 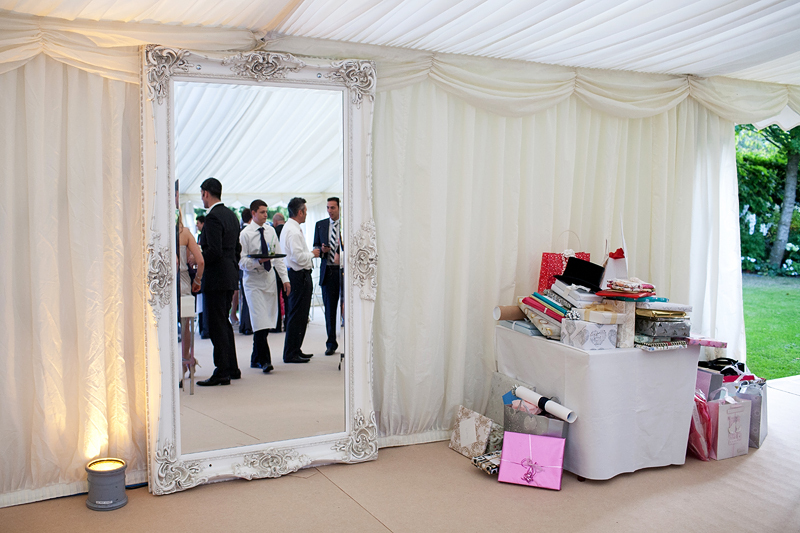 The client asked Cavendish Events to co-ordinate their wedding for them. 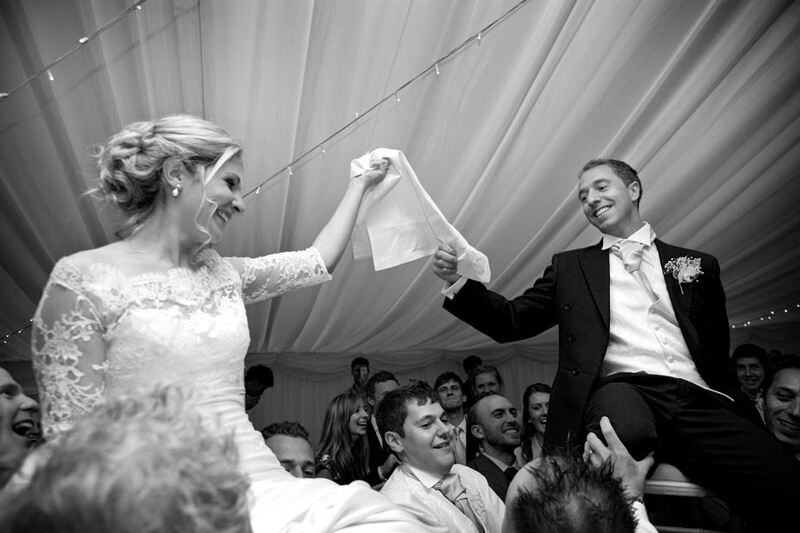 Cavendish are a local catering and events company who offer either a “catering only” or a “full management” service.